IV. How To Prevent Sunspots? V. When To See Doctor? Summer is approaching, along with more options for outdoor activities. But besides enjoying summer vacation with sunshine, clear sky, blue sea or high mountains, we also have to face with many skin problems such as sunspots, sunburn, rosacea (blushing due to the dilation of blood vessels), etc. 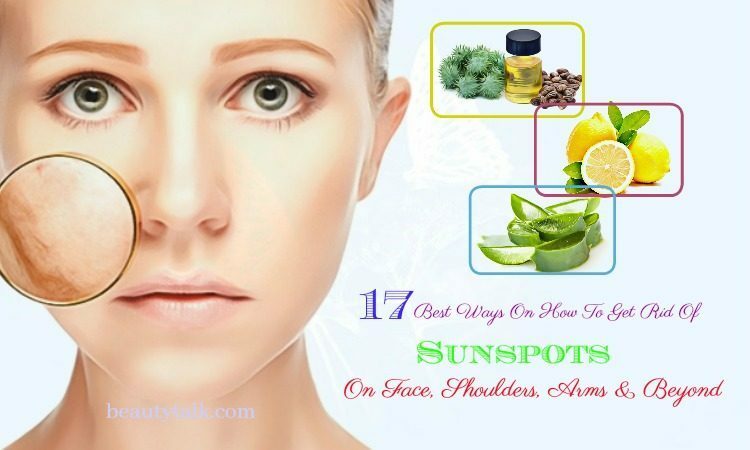 Among that, sunspots can put you in horrible experiences with uneven patches of color on your skin. Don’t worry; Beauty Talk will provide you with the most important information about sunspots and the best ways on how to get rid of sunspots naturally and fast on face, shoulders, arms, and beyond. Keep reading and finding out the appropriate method to help you remove, as well as preventing sunspots. Known as hyperpigmentation, sunspots or solar lentigines are spots occur on the skin, especially the open skin areas like face, neck, shoulders, arms, and hands. While most of the spots are usually darker than the surrounding skin, some can present as white spots. People with lighter skin and middle-aged people are more likely to suffer from sunspots, but anyone irrespective of skin color or age can get them. Exposure to the harmful ultraviolet rays (UVA, UVB) of the sun for a long time will lead to the appearance of sunspots. These rays promote the formation of skin pigmentation, which unfortunately does not distribute throughout the skin but only concentrate in small spots. Although sunspots are not dangerous to your health, too much exposure to sunlight still can increase the rate of skin cancer in the future. Therefore, early learn how to get rid of sunspots is extremely necessary. The acidity of lemon gives it a natural bleaching effect, which helps to blur sunspots quickly . However, sometimes the acidity can irritate the skin, so using lemon to solve sunspots is not recommended for people with sensitive skin type. 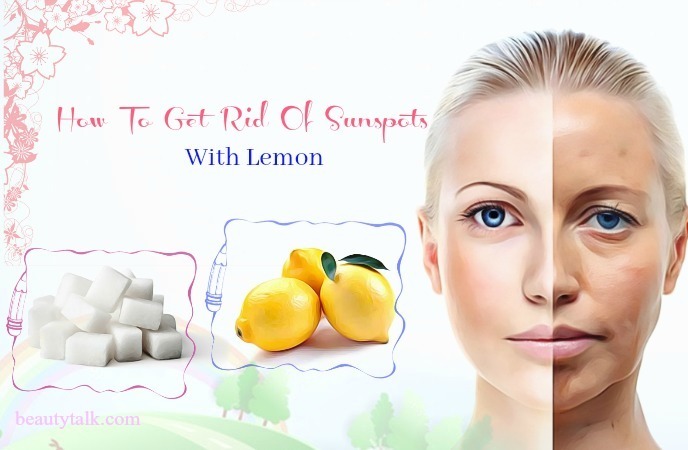 Dip the cotton swab into lemon juice and apply it to the skin areas with sunspots. Wait for 20 to 30 minutes. 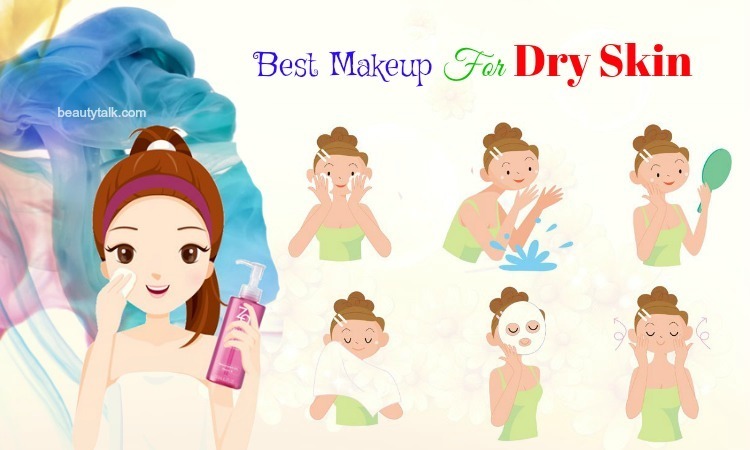 Apply lotion or cream to prevent dryness of the skin. You can use this remedy once every day. Add sugar to lemon juice, ratio 1:1, to create a scrub mixture. Scrub it on the sunspots for a couple of minutes and leave there for ten more minutes. You can repeat this 2 to 3 times a week. Aloe vera is not a stranger in the field of beauty. With healing agents, aloe vera can lighten dark sunspots and treat damages caused by the sunlight . What you should do is to take fresh aloe vera gel and apply to the affected skin areas, leave it for half an hour, then clean with water. Do this twice daily. Castor oil provides loads of benefits in skin care as it has an essential fatty acid called ricinoleic. 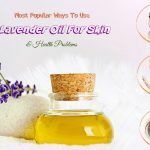 Thanks to this acid, beyond the anti-inflammatory ability to eliminate acne, castor oil is also used to moisturize the skin and brighten many types of blemishes including sunspots. Apply castor oil directly to your skin. Massage the damaged skin for few minutes. Wait for at least 1 hour before rinsing. Implement this method twice a day, preferably once before going to bed. There is a high proficiency in antioxidant that permit green tea to work against sun damages on the skin . In the remedy with green tea, you can either use a commercial tea bag or make one on your own with dry green tea leaves and a soft cloth. Soak a green tea bag in a cup of hot water for 5 to 10 minutes. Take the tea bag out and drain the excess solution. Let the tea bag cool down a little bit, then place it on the areas with sunspots once or twice a day. Apple cider vinegar (ACV) helps deal with many skin issues, and the problem with sunspots is one of them. 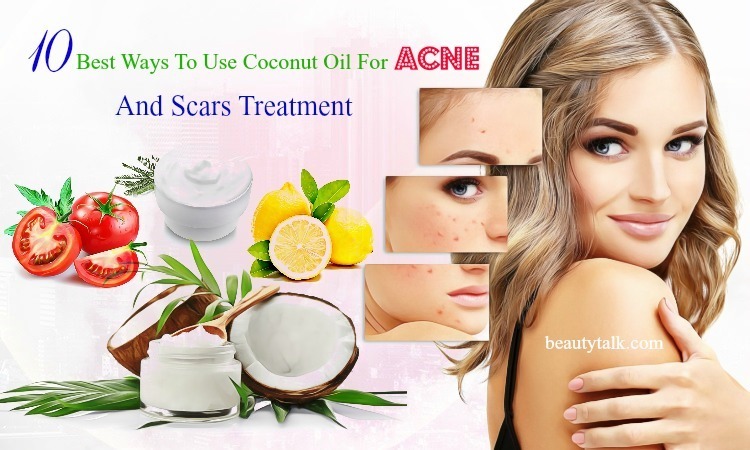 The acid in ACV does a great job in fading spots, bruises, and even scars away . Refer to the two ways below to get rid of sunspots effectively with ACV. Mix one tablespoon of ACV with one teaspoon of honey and one tablespoon of water. 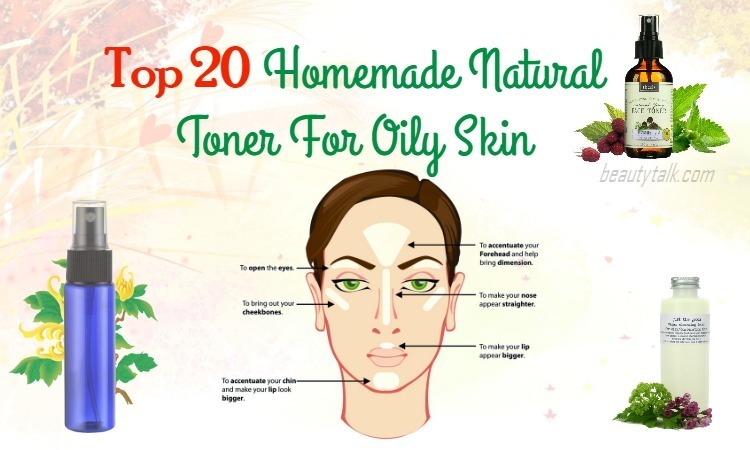 Apply the mixture to the skin for 10 minutes minimum, and then wash it off. Do this once daily until the situation gets better than before. Mix half a tablespoon of ACV with a tablespoon full of lemon juice to form a paste. Dip a cotton ball into the mixture and dab on each spot. Gently rinse off the paste in the morning. Keep doing this for about a month to achieve the best result. You can also substitute lemon juice with orange juice. Milk helps lighten dark spots and deeply clean the skin because of the presence of lactic acid in its component. It also accelerates the regeneration of skin cells. Therefore, milk is one of the top choices to remove sunspots. Soak a cloth in milk and cover the areas of sunspots with it for 10 minutes. Repeat the process regularly during the day. Alternatively, you can use buttermilk to get the same effect. As yogurt is also a house of lactic acid, it is also capable of lightening the skin. 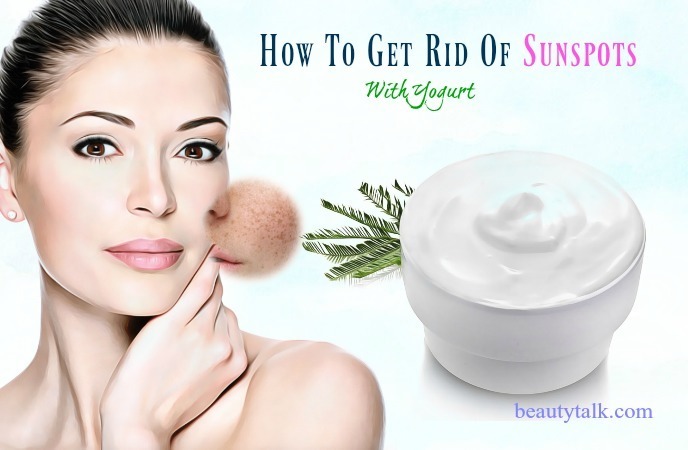 Thinly apply plain yogurt to the sunspots, let it dry for about 15 minutes before rinsing off with cool water. Perform this a few times a week, and you will receive the result soon. Turmeric contains strong antioxidant and antiseptic compounds, which can whiten the skin and treat blemishes. Follow this instruction to maximize the effectiveness of turmeric. Mix turmeric powder and honey with a moderate amount. 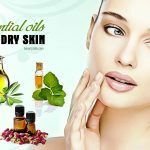 You can add a few drops of olive oil if you have dry skin. Stir the mixture to make a fine thick paste and use it as a mask for your skin. Let it sit for 15 to 20 minutes and wash with water. Do this remedy twice a week. Cucumber is a friend of every skin type, and it is indispensable for dry skin. Cucumber has cooling properties that make you feel refreshed in the summer. It can also give you a smooth and glossy skin due to the pigment dispersing effect of vitamin C in its composition. Slice half of a cucumber and mash it. Mix the mashed cucumber with yogurt or lemon juice. This step is optional. Apply the cucumber or the mixture to the affected skin for some minutes. Instead of eating papaya, you can try to use it as a home remedy for getting rid of sunspots. Enzymes in papaya will support the skin exfoliation and reduce sunspots gradually. All you need to do is to crush a little papaya and apply the pulp to your skin. Let it stay for 10 to 20 minutes depending on the density of sunspots, then clean. Use this recipe twice a week until sunspots disappear. Scientists have proved that sandalwood is a folk remedy to treat skin problems for years. It is a mild astringent and an anti-aging agent. It helps fade spots, even out the pigment and soothe the skin. Bring all the ingredients together and stir well. Apply it to the skin with sunspots and leave it to dry. Repeat this several times a week. Mix sandalwood oil with olive oil in the proportion of 1:2. Massage the affected areas with the mixture. You should do this method before sleeping and keep the oil on your skin overnight. Red currant is rich in antioxidants and contains week acids . It not only allows the skin to fight sun, brown and age spots but also protects the skin from UV rays or free radicals – the agents that worsen spots. Prepare an unripe red currant and blend it. Add honey to the paste. Place the mixture on the spots and wait for 30 minutes. Rinse off with warm water and wipe dry. You can continue applying a solution of lemon juice and rosewater on your skin to enhance the healing process. Let it sit as long as possible or at least an hour if you do not have much time, then rinse. Follow this procedure every day to get rid of dark spots. Like cucumber, the tomato is also a needful natural friend in taking care of the skin. It has a powerful antioxidant ability that can remove sunspots and give you glowing skin. The remedy is very simple: Apply the juice that you extract from a fresh tomato to the sunspots for 20 to 30 minutes, and then wash it off with cool water. Keep doing several times a week. Red onion is acidic. 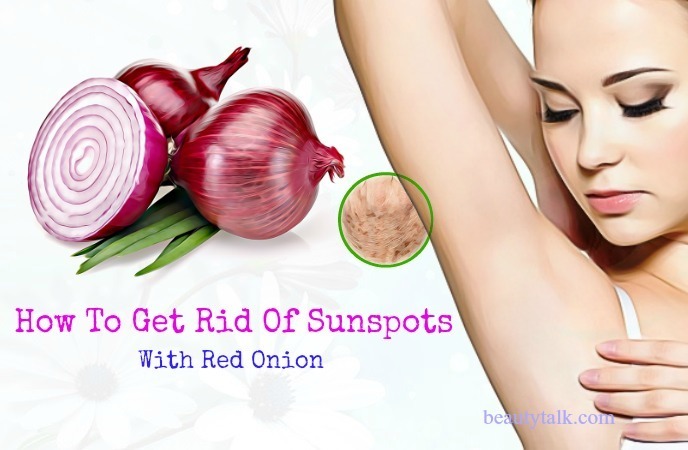 It helps reduce sunspots and brighten your skin tone. Take some onion slices and rub over the spots for a while, then wash thoroughly with water to completely remove the smell of the onion. Repeat 2 to 3 times a day. Selenium is a vital mineral for the human body, providing many health benefits. Selenium may act as an antioxidant to prevent and repair skin damages caused by the sun. Having selenium-rich foods in your meals will help improve your skin condition and general health as well. Food sources of selenium: Brazil nuts, tuna, egg, turkey, liver, etc. The antioxidant properties of vitamin C play an important role in collagen synthesis, which is effective in treating sunburn, lightening skin and diminishing dark spots. Vitamin C also increases the elastin formation, protects and heals skin cells. You should add these fruits to your diet: Orange, kiwi, strawberry, cherry, pomegranate, etc. Within most sides of skin care, vitamin E and vitamin C are similar in the mechanism of action. Moreover, vitamin E has the power to reduce damages from free radicals, slow down the aging process and make your skin full of vitality. Top vitamin E foods list: Almond, spinach, sweet potato, avocado, etc. While cooking in high temperature may break the structure of nutrients and kill enzymes needed for digestion, building a raw foods or raw vegetables diet means most of your consumption will be rich in minerals, vitamins (A, B, C, & E), dietary fiber, essential oils, and phytonutrients. For example, beta-carotene – the best-known provitamin A carotenoid found in red/orange colored vegetables – will help protect the skin from the harm of UV rays. Suggestions: Carrot, red bell pepper, seaweed, onion, garlic, etc. Dark chocolate: Researchers show that there are more than a hundred healthful compounds in dark chocolate with at least 75% cocoa. Standing out in these compounds are flavonoids – dietary factors help reduce adverse skin reactions caused by UV rays. You can enjoy less than 175gr of dark chocolate a week. Watermelon: This fruit is hugely rich in lycopene and choline; both are required for healthy skin as they have antioxidant that neutralizes the effect of free radicals. Do not hesitate; you will not be able to resist this juicy fruit in hot summer. Salmon: Salmon is a source of astaxanthin, which is a thousand times better in anti-aging and repairing skin damages than vitamin E. Salmon also contains the omega-3 fatty acid that can lessen the risk of sunspots and other UV harms. 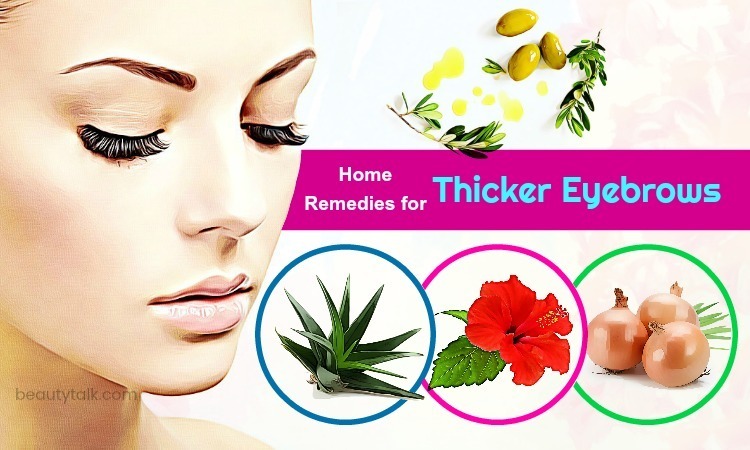 Green tea, lemon, aloe vera, tomato, cucumber: Not only use as skin therapies, you should also eat them to gain faster result. For those with good skin and general health, red meats are not a big problem because they are super high in protein that helps strengthen the muscles and firm the body. 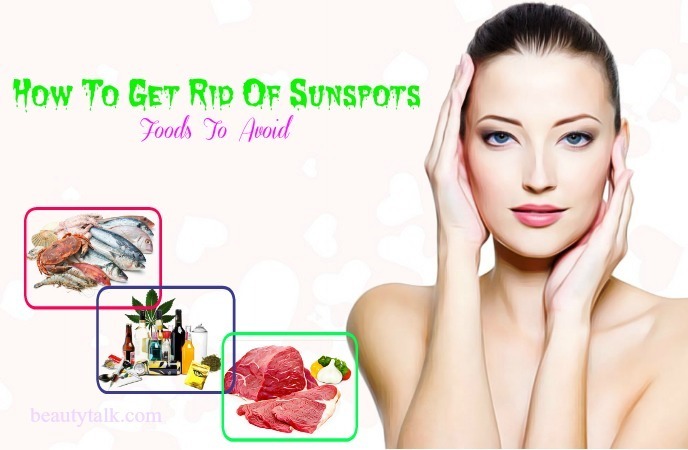 But for people with sunspots, your spots will become hardened, skin cells will need longer time to heal, and even the risk of new spots appearance will increase if consume too many red meats. Seafood is rich in nutrients, but on the other side can easily irritate the skin. 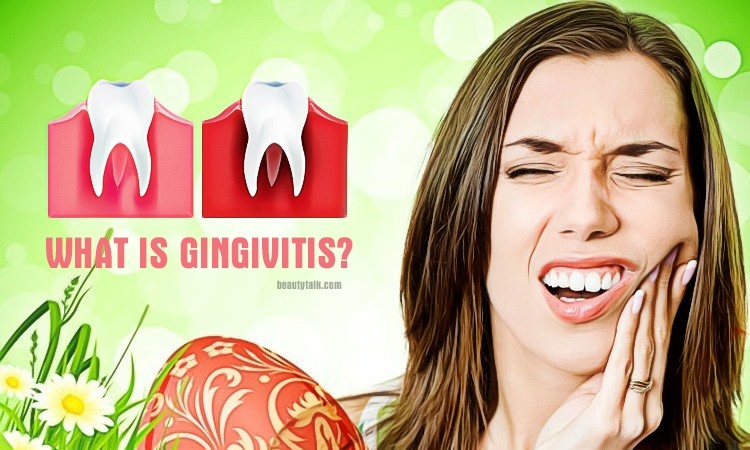 It can cause allergy and make the damages difficult to get well. Therefore, no matter how you love seafood, temporarily remove all kinds of it from your daily diet to quickly expel dark spots from your skin. Many people still use alcohol, caffeine, and many different stimulants during sunspots treatment without expecting their disadvantages. Stop immediately or your situation will be worse. Stimulants are negative elements for both healthy people and ones with skin issues. Use SPF products every day. A layer of SPF on your skin will prevent you from the sun and other dark spots. Make sure your sunblock has the SPF index of at least 30 and contains both protections from UVA and UVB. Cover up open skin areas and bring along umbrella whenever you go outside to minimize exposure to sunlight. Try not to spend time in the sun between 10 am to 3 pm because this is the period that UV rays are most active. Limit your time working in front of electronic devices such as the laptop, tablet or smartphone. Electromagnetic radiation from those familiar objects can also darken your skin and create spots. Have a wealthy of antioxidants diet, as written above. Finally, keep in touch with your dermatologist; he always knows what are best for you. A multiple of colors in one spot. A spot is larger than all others. Borders of spots are uneven. Any change in the size, shape, and color of spots over time. You now have a certain amount of knowledge about sunspots and the best ways on how to get rid of sunspots naturally and fast on face, shoulders, arms, and beyond. 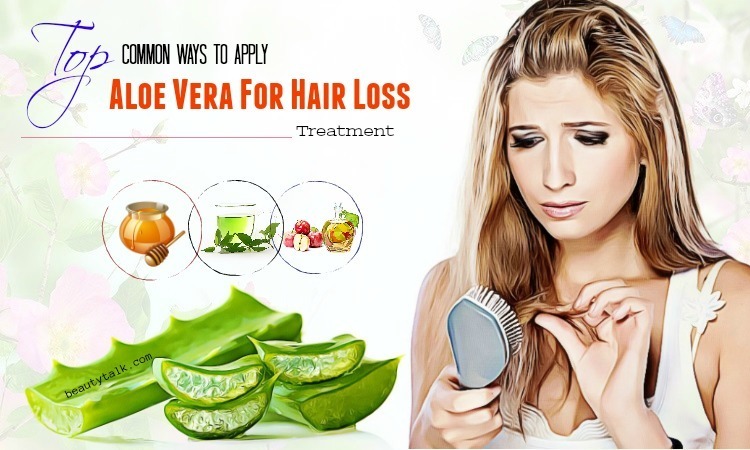 Remember that all home remedies require patience to reach the final result, so do not rush and comply with the guidelines in this article. Have you ever had trouble with sunspots before? How did you escape from them? Please share us by leaving a comment. For more information, visit our main Skin Care page.